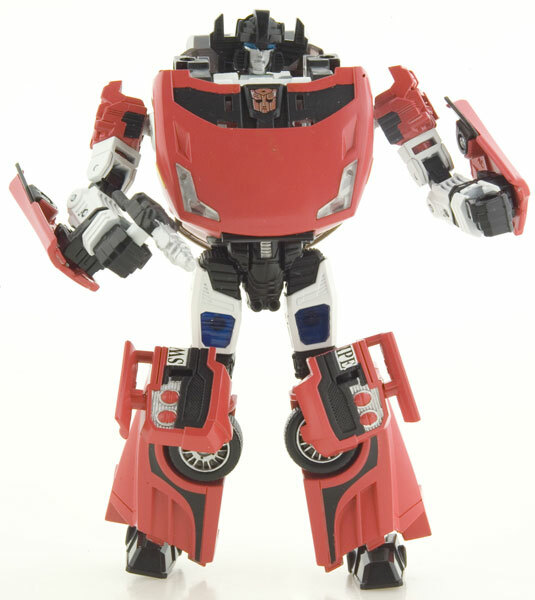 For those of you who were underwhelmed with the announcement of the first wave of Transformers Universe ( *cough* Classics 2.0 *cough*), we’ve been rewarded with the announcement of new deluxe figures, including Autobots Sideswipe, Silverstreak, and Ironhide. Most importantly, Ironhide is RED (as he should be), and his alt mode is an SUV-type vehicle. 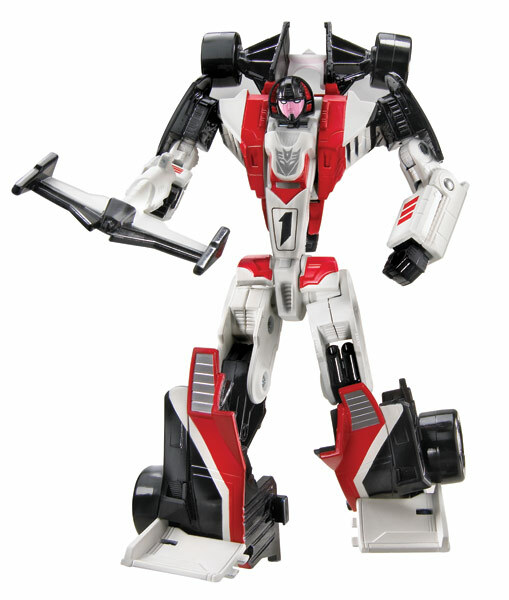 In the deluxe class we’re also getting Aerialbot leader Silverbolt. 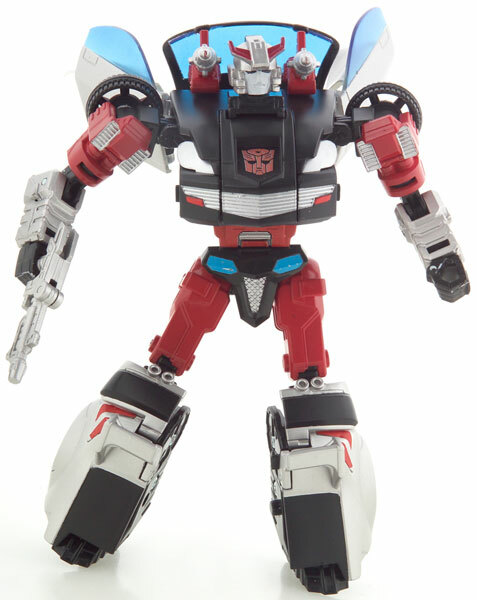 Unfortunately it does not appear as if Silverbolt will be a gestalt, but he looks cool nonetheless. Robot Heroes is getting more love with more versus packs, including Thrust vs. Blaster, Insecticon Kickback vs. Ironhide, and Beast Wars Megatron II vs. Silverbolt. 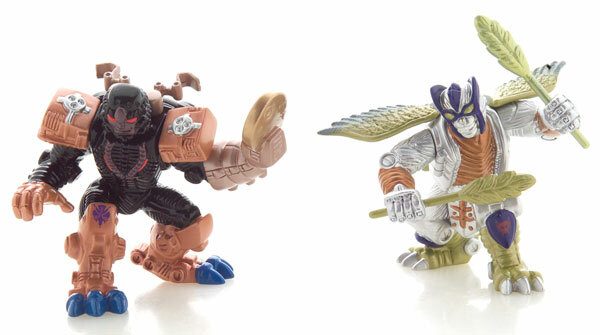 Also scheduled for release are Beast Machines Cheetor vs. Tankor, and Robots in Disguise Optimus Prime vs. Megatron. According to Hasbro: Robot Heroes will be “getting more love” (as seen with the announcement of Beast Machines and RID characters, truly giving it a “Universal” selection). 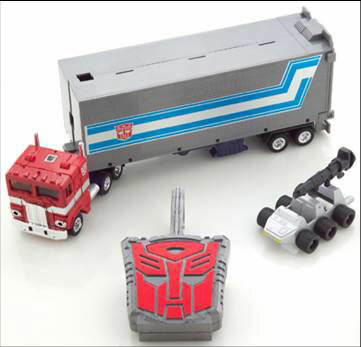 Hasbro will continue to support the Classics line alongside with TF: Animated, up to the Transformers movie sequel. It will be put on the back burner when the film comes out, but they will return to it afterwards. In Masterpiece news, reporters for TFormers.com talked to Takara representatives about future Masterpiece releases. The reps said that Masterpiece Grimlock and Thundercracker are in the works, and it’s a matter of when, not if they are released. Unfortunately there are no preview images at this time. Fans of Transformers: Animated will be thrilled to know about upcoming releases. The toy line will officially launch in June, though Hasbro has already listed them at their online store. Due in September are Deluxe Sentinel Prime, Swoop and Elite Guard Bumblebee. 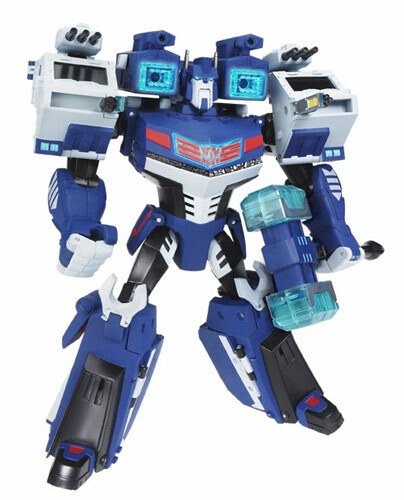 Also planed in the Leader Class is Ultra Magnus, also due in Sept. If you thought the momentum from the film was dying down, you were wrong! 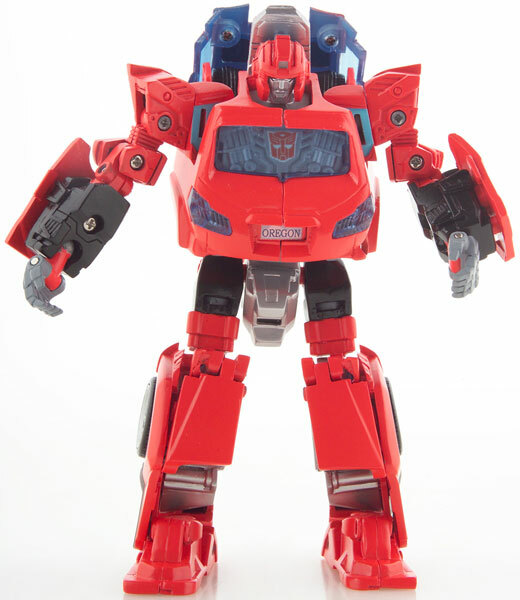 Hasbro has announced several new figures under the Transformers film banner. 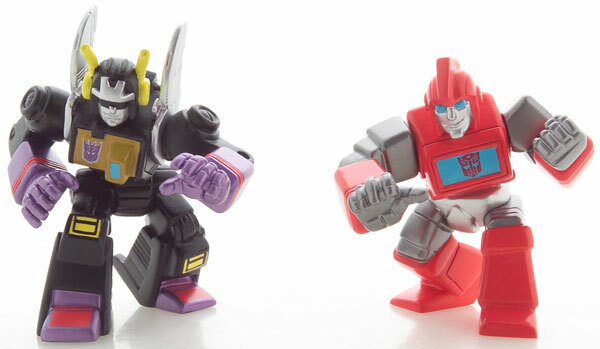 Three new movie dexluxe figures will be available exclusively at Wal-Mart, including Decepticon Fracture (a re-paint of Classics Mirage, and a homage to the female Gobot, Crasher! ), and repaints Breakaway and Crankcase). Finally, fans of the Transformers Titanium line can rejoice as Hasbro announced War Within Grimlock and War Within Prowl as Toys ‘R’ Us exclusives. Overall, it looks like Hasbro is doing a great job continuing the momentum built up from the film and adding to it with the popularity of the Animated series. There’s plenty of stuff coming out, and it looks like there’s something for everyone. Okay, I’m trying really hard to swear off the Animated line, but I must have him. The Classics 2.0 line is looking great–the original molds, at least. I could still do without the repaints in that line–I’m not opposed to repaints themselves, but some of the ones popping up under the Universe moniker are awful. I also like the Mirage repaint, but it needs a new head, or something…that mold is so perfect for Mirage that you really don’t think of anything else when you look at it. 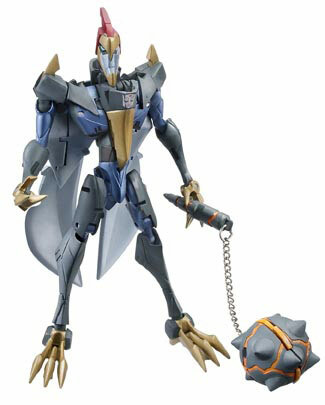 Master… piece… Grimlock? SONUVABITCH! *cries* My wallet… why?!?!! Prfkt, is it true that they announced the possibility of a Universe Targetmaster Cyclonus as well as a Hound? That would rock the party that rocks the body. Thanks for those updates. http://www.unicron.com/ has pics up in their 4/29 update of those new WarWithin Titaniums. Sweet. Now if only we could get that G1 Ultra Magnus without going to ebay scalpers. I wonder if this means we'll see a Soundwave in the future!!! PrfktTear, from what I heard, the Ravage mentioned with Hound is supposed to fit in G1 Soundwave's chest cavity, but make somehow a better panther. Very interesting, but I too would like to see a modern take on my favorite Decepticon. The Titanium version just ain't cuttin' it. @Orion, I know what you mean about the Titanium. I wasn't happy at all with it, so I returned him. He could barely even stand on his own legs, so I said it was "defective". 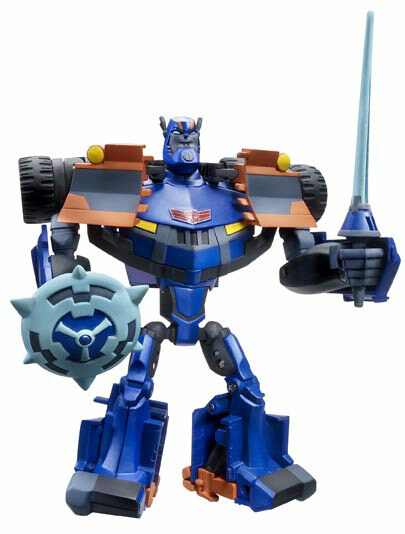 I really like the Takara Music Label Soundwave, but I don't want to spend $100 on one either. I wish they'd release something similar to version, just w/o the mp3 player feature. That'll be awesome about Ravage! Pairing them together is a nice throwback to the G1 cartoon! Hound has always been a favorite character of mine. I got the Alternators version, but for some reason it just wasn't the same. P man- Keep an eye on BBTS.com. The prices are starting to drop on the Music Label Soundwave. Even ebay can get you it for about $80 shipped with BuyItNow.